Design by Sue at Little Beader. 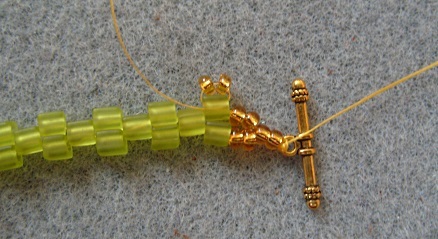 S-lon beading thread and two beading needles. Cut about 1½ metres of beading thread and thread one needle onto each end. 1. 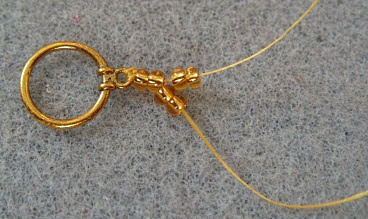 Fold the thread in half and bring the needles together, pass both needles through the eye of the clasp and pull through until there is a small loop left. Put both needles through the loop and pull up. Repeat again to form a strong knot. Thread 2 x 8/0 seed beads over both threads as shown. 2. 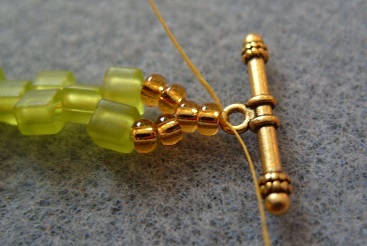 Separate the threads and thread 2 seed beads onto each one. 3. Next add one cube to each thread. 4. Bring the needles back together and pass them both through a cube bead. 5. Repeat steps 3 and 4 until you have the length required but end with 2 cubes on separate threads as in step 3. 6. Thread 2 seed beads onto each thread. 7. 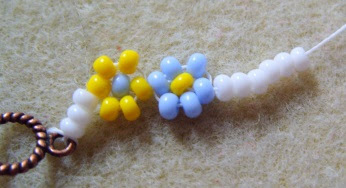 Pass both threads through 2 seed beads. 8. 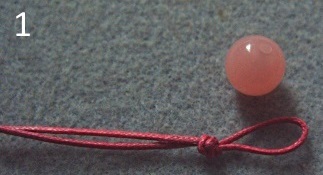 Pass one needle through the loop on the other end of the clasp, tie both threads together with a square knot. Then pass both needles though the loop on the clasp and pull through until you have a small loop. Pass both needles through the loop and pull up to create a firm knot. 10. Add 2 seed beads and bring the thread around and back through the first cube bead again. The seed beads should be sitting on top of the cube bead as shown in the picture. 11. 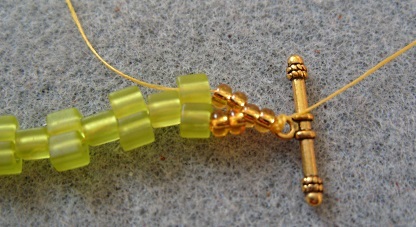 Add another 2 seed beads and pass the needle through the next cube bead along. 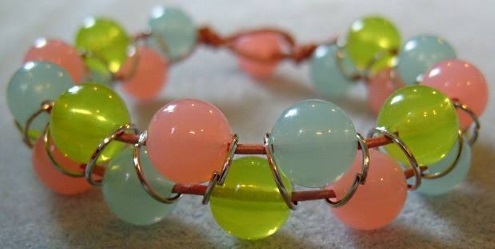 The seed beads should be sitting in the gap between the cube beads as shown. 12. Repeat steps 10 & 11 until you reach the other end. 13. 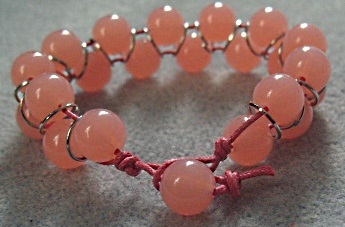 Repeat steps 10 and 11 down the other side of your bracelet using the other thread. 14. Pass one thread through the loop of the clasp, knot the threads together and pass each thread back through a few beads and snip off the ends. You can put a tiny dab of clear glue on your knot if you wish. Here's some I made earlier! This example is made with 1mm waxed cord but you can use any cord you like as long as it fits through the hole in your beads such as leather, macramé cord etc. 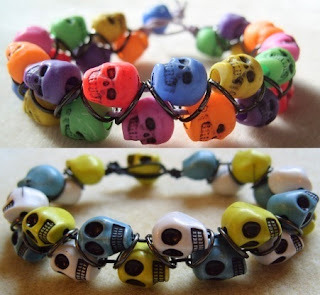 You will need about half a metre of cord, fold it in half and tie a knot to make a loop big enough for one of your beads to easily fit through.